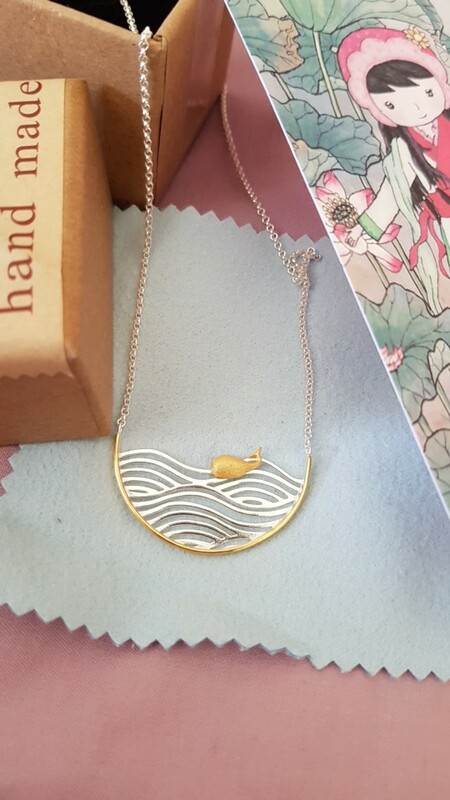 Who wouldn't love wearing our unique The Swimming Whale Necklace? Well, maybe those who don't like the oceans and marine life. BUT, we know you do! Why? Because you are on this page right now. 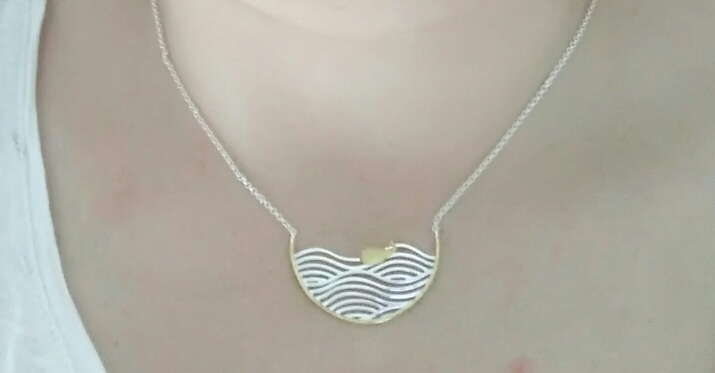 Inspired by the (obviously) the oceans and marine life, our The Swimming Whale Necklace is made of 925 sterling silver. 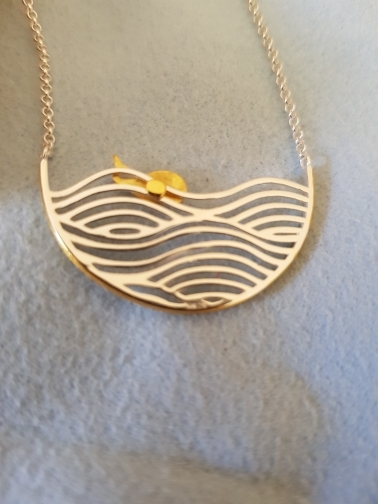 This necklace includes the chain and the main pendant itself. So, you don't need to buy a separate chain just like most of our pendants. 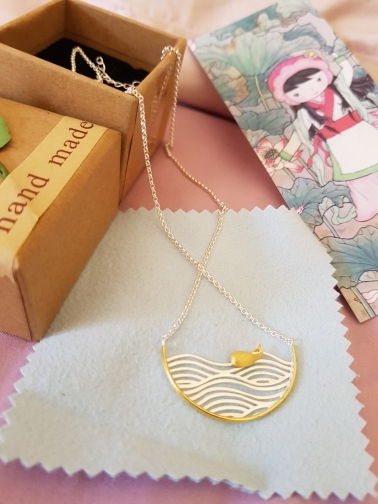 We are proud to introduce you to our The Swimming Whale Necklace as part of our newest collection. Each of our jewelry pieces is handmade with great details and care. Our mission is to use jewelry pieces as part of our belief in stopping deforestations all over the world, protecting the oceans, and fighting against global warming. 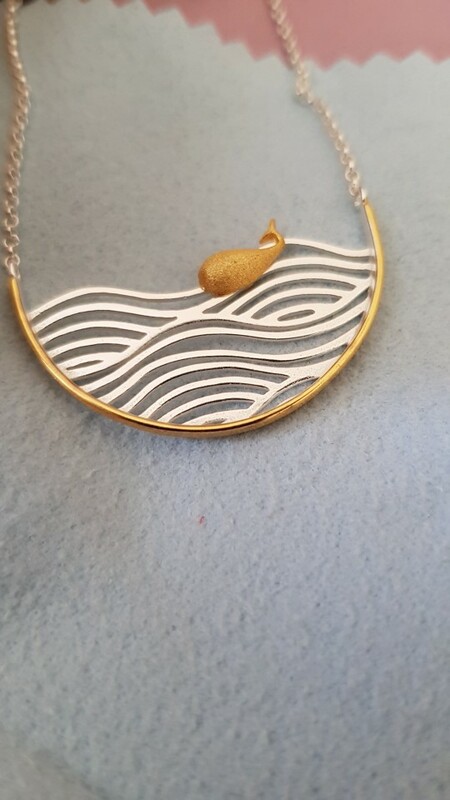 very nice necklace, and quite fun to be able to move the whale ! i like it a lot. Order arrived very quickly (7 days). The quality is excellent. 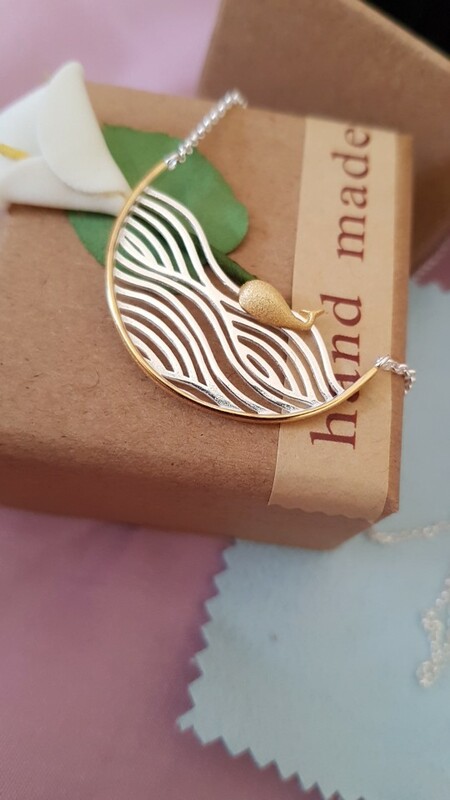 A beautiful gentle pendant. Whale floats on the waves (moves along the wave) Package came with a flower, as promised. Fast shipping. Thank you! This is by far my best purchase online! Top quality products. My first time. And I am going to make my next purchase soon! Thanks Lustrousology! !